If you have a car then chances are that you will need Motor Warranty. 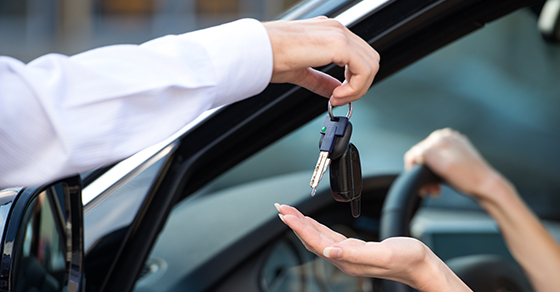 Motor Warranty in South Africa is easy to come by, however because there are so many options it’s hard to make the right decision on your choice of Motor Warranty company. Ting is a one stop motor insurance platform that enables you to simply fill out your details once and you will get a call back from reputable Motor Warranty companies. A call centre agent will call you to discuss your premium and the benefits of their Motor Warranty policies. All you need to do is weigh up the options and choose the policy that makes the most sense to you. So why go through the hassle of running around and getting Motor Warranty quotes when all you have to do is fill in one simple form. Remember Motor Warranty is a must so it’s important to make an informed decision and purchase a policy that caters best to your needs. The Hollard Insurance Company Ltd (Reg No. 1952/003004/06) is an authorised Financial Services Provider, and a member of the South African Insurance Association (SAIA) and the Association for Savings and Investment South Africa (ASISA). Hollard is committed to high ethical standards of business. Hollard subscribes to the Ombudsman for Short-Term Insurance and the Long-Term Insurance Ombudsman, and is subject to the jurisdiction of the FAIS Ombud. Bidvest Insurance Brokers (Pty) Ltd, Reg No. 1967/000378/07 is an authorised Financial Services Provider, FSP no. 44446. - Bidvest Insurance Limited, Reg No. 1997/019461/06 - Bidvest Life Limited Reg, No. 1997/019460/06 - Bidvest Financial Services is a member of the South African Insurance Association (SAIA). Thanks for the quick and helpful service, I got the insurance cover I was looking for ! ting.co.za 2019. All Rights Reserved. Be advised that product benefits and offerings may differ from insurer to insurer. The illustrative premium presented is for an individual policy and additional costs are excluded. The premium is subject to change on an annual basis. Once you submit a request on any of the pages on ting.co.za please expect a phone call from a reputable insurer. According to Consumer Protection Act, No. 68 of 2008, we advise our visitors about “The DMA Don’t Contact Me Database” and you can register here. Registering on this database will mean that you will not be contacted by members of the DMA (Direct Marketing Association of Southern Africa). ting.co.za is a brand of Deals on Tap.